Somebody got a Cat in the Hat inspired skewer today in their lunch! 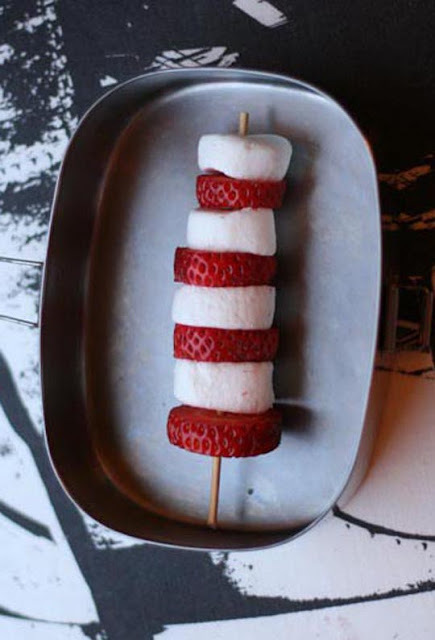 Marshmallows and strawberries on a stick ... say yum. Check out a roundup of similarly themed, and way more elaborate, snacks I gathered over at Apartment Therapy yesterday.